What is a Cavity? And How to Avoid Cavities? Are you trying to determine whether or not what you’re feeling is a cavity? Stop ignoring it and let’s identify the problem. 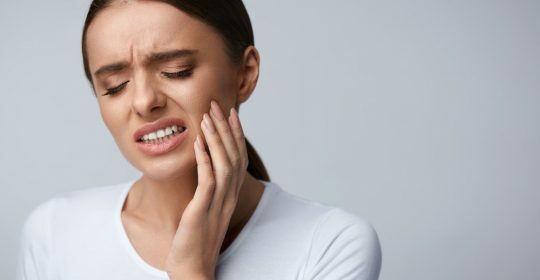 In this article, we explore what a cavity really is, how they’re caused and how to avoid and treat them going forward. Cavities are formed from tooth decay. Cavities affect both the inner layer (dentin) and outer layer (enamel). Cavities soften and dissolve the tooth, creating a hole. When left untreated they can lead to infection and potentially tooth removal. A major contributor to the formation of cavities comes from carbohydrate solids and liquids. Food such as bread, milk, soda, fruit and candy are the biggest causes of cavities in children and adults. Cavities form from bacteria mixing with the acid/food/saliva in your mouth, which results in plaque. When the buildup of plaque occurs, the acid in the plaque will dissolve the enamel in the tooth and create holes we know as cavities. Cavities are one of those things where if you have one, you’ll know it. The biggest identifier is a recurring toothache and discomfort when you eat/drink anything sweet, hot or cold. However, to be sure to consult with your dentist. Dentists will look for holes or soft spots on the tooth. Through x-rays, the dentist will be able to locate any holes and then suggest a treatment plan. Depending on the severity of the infection and the cavity size, the dentist will remove the tooth or remove the decayed portion of the tooth. After the decayed portion has been removed, the dentist will fill the hole with a composite resin. With a drill, the dentist will remove the decayed portion and fill the hole with gold, silver alloy, composite resin or porcelain. As a rule of thumb, you should never rely on trying to self-diagnose. To ensure you’re getting the right treatment, contact your local dentist for a checkup. While cutting down on carbohydrates and keeping up with good oral hygiene can prevent cavities, it doesn’t guarantee a cavity-free life and won’t replace a visit to the dentist. To find out more about cavities and how to treat them, contact us today. Karalee Family Dental is a trusted local practice located near Riverview and has been a trusted Riverview Dentist for many years.